I got back from the Faroe Islands a couple weeks ago and started working again on my projects. While working on my catamaran design I wrote a NACA foil generator for Grasshopper, as I will need the sections throughout the cat design. For the moment I only have the symmetrical 4 digit series completed, but I plan on expanding to asymmetrical 4 digit, 5 and 6 digit sections. This was quite a spontaneous development and I'm currently looking into releasing a free Rhino plugin for the 4 digit series. 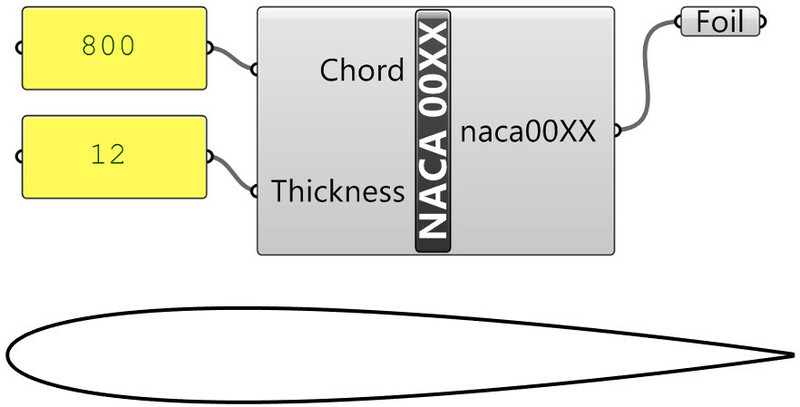 My NACA foil section generator might end up being included in Project SeaHorse as a bigger set of marine design tools. Funnily, during the coding I stumbled on a strange Rhino bug, some InterpCurve issue, will look into that in detail later.